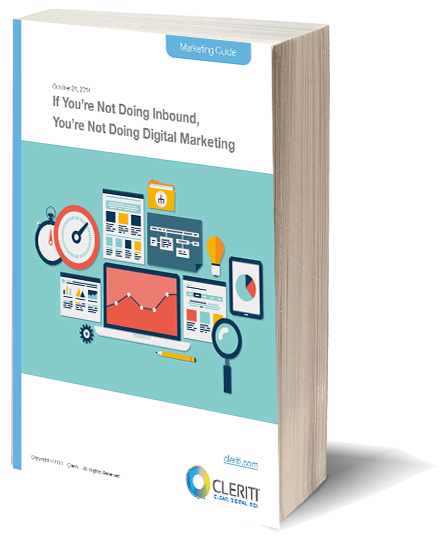 Thank you for requesting a copy of our "If You're Not Doing Inbound, You're Not Doing Digital Marketing" eBook. In case you don't have time to read it now, no worries. We've also sent a copy of the e-book to your inbox! Please make sure your spam filters are set to allow email from cleriti.com. If you have any trouble or would like to discuss new lead generation suggestions for your business, please reach out to ken@cleriti.com.